Web Intelligence is a business intelligence reporting tool and is a part of SAP BusinessObjects product suite. This tool is accessible for business users for analytical and ad hoc reporting. Web Intelligence helps business users in creating basic, medium, and complex reports from transactional data in database for meeting business requirements. 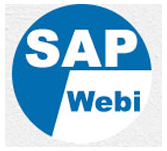 This tutorial will explain you the key concepts of SAP Web Intelligence (SAP Webi). This tutorial helps users who wish to learn the basics of SAP Web Intelligence and implement it to analyse data with the help of BI Launchpad and Webi. Users should have the required skills to extract relevant data and analyse it for creating professional reports.